Shadow Of Mordor recently arrived on PS4, XBOX One and PC and it was pretty amazing.Taking the blueprint of Rocksteady’s Batman Arkham games and adding to it with the impressive Nemesis system, amongst other things, and setting it in the rich and engrossing world of Tolkien’s Middle Earth really saw the game as a highlight of the year. Gamers that haven’t invested in a new gen console though had to wait several extra weeks to get their hands on the game. Unfortunately the dark lord Sauron seems to have had a hand in the painful reality that is Shadow of Mordor on last gen consoles because to say that it’s underwhelming is being very polite. 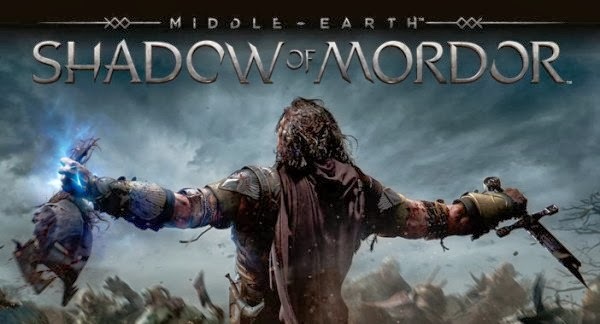 That was pretty much a given, something designed for current gen is going to be less polished and smooth on last gen. What anyone who has actually picked up Shadow of Mordor for PS3 or XBOX 360 will know though is that pretty much nothing about this port is “solid” apart from the disc and the case it comes in. I’m about 10 hours into the game and that 10 hours has been a painful and frustrating experience really. Whilst cut scenes look excellent pretty much everything else about this game is just very poorly executed. Shadow of Mordor, simply put, looks downright ugly most of the time, at best it looks like a PS2. There’s a murky look that isn’t just due to the setting of Mordor itself not being a particularly bright or cheery place.Games don’t have to be visually stunning if they are engrossing and enjoyable, unfortunately Shadow of Mordor is so beset with problems that it’s hard to apply either. It wasn’t until attempting the first mission featuring conniving orc schemer Ratbag The Coward that the scale of things really became apparent: textures would fail to load, music would skip or drop out completely, dialogue would skip and more than once the game froze when I got stuck on a ledge trying to sneak around. This wasn’t a one off either, the exact same things would happen several other times when I replayed the mission. 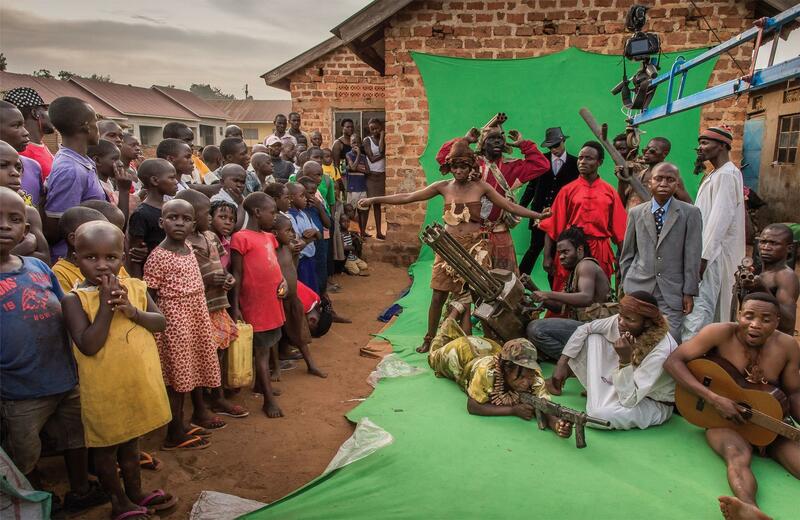 Things only got worse after that as other things soon became glaringly apparent. For example, looking at the map requires a 5 -10 second load time and a further 5-10 second load time to get back to gameplay, as does entering the pause menu where you apply the runes and ability points you collect as you progress . This becomes grating very quickly and makes you want to avoid doing either but both are essential to actually playing the game. A big problem is textures continually failing to load in game, often the surrounding area will be rendered in a crude, basic manner and only rendering when you get nearer but often failing to do so even then. Often when continuing Story Mode your character will appear in mid air as the Forge Tower renders slowly beneath his feet before you can begin playing. Combat is also a sluggish, often unresponsive affair a far cry from the slick fluid combat of the Arkham games. Enemies will often randomly float into the air mid fight. The audio of their death rattle often plays several seconds after they actually die too. Fighting more than 4 enemies at a time will result in pretty bad slow down too, especially if you’re in a stronghold and not out in the open. The Nemesis system itself is based around the hierarchy of Sauron’s army, one of the key things is if you die then the Orc or Uruk who killed you will get promoted and if you meet him again he will remember you. This adds some depth to combat so it doesn’t feel like just killing endless grunts and it’s easy to build up a grudge against an elusive or tough captain. 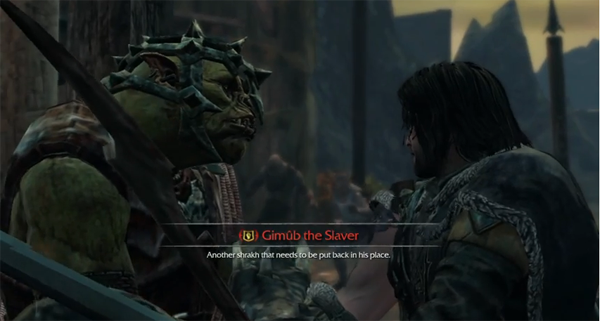 The Nemesis system also features numerous missions based around the animosity and in-fighting in Sauron’s horde. Often though, these missions are haphazardly broken up with load times and it’s not uncommon for the screen to just cut to the black loading screen, on top of which missions will sometimes glitch out entirely and you gain the bonus without actually having to do the mission. Something that is quickly noticeable is whenever an orc or uruk captain introduces himself, you never see their lips move to indicate actually speaking. This might seem like nitpicking but it really is a throw back to games of yore in a time before games were actually capable of having character movements synced with speech. A key component is gaining intel from underlings in the horde but this again is bogged down with load times, features crude rendering and often skips dialogue. Most games have bugs, especially open world games, but it’s not just bugs here though. The game plays like it hasn’t even been finished. From the start, Shadow Of Mordor on PS3 plays more like a demo for a game in development than a finished game and it really doesn’t get any better the more you progress, if anything it gets worse. The game froze in the middle of a fight with a war boss at one point meaning all the progress made on the whole mission wasn’t saved and had to be done again – from the beginning – with the knowledge that it might just freeze again. 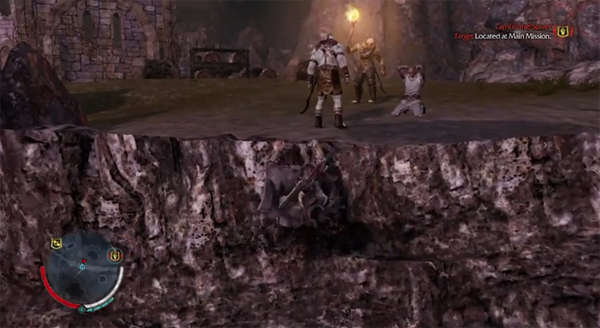 Another mission features entering the lair of a Graug, a large troll like creature. Again the cut scene looks impressive but in game the Graug barely rendered when it appeared, looking like something that the design team forgot to finish. There’s the bones of a quality game here but the rest of the body is just diseased. Either Monolith just really couldn’t be arsed and just churned out a lazy cynical cash grab as a middle finger to any gamers out there that haven’t got the money to buy a new console or Shadow of Mordor shouldn’t have been ported to last gen at all. Unlike when Skyrim came out for PS3 and was riddled with glitches and bugs, including a pretty major one there’s not much likelihood of Monolith fixing the mess with a few patches given that last gen is apparently an afterthought. Shadow of Mordor might be an amazing thing to behold on current gen consoles but on last gen it really is just a shadow of itself.